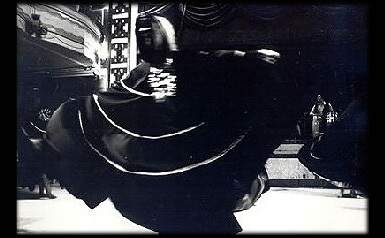 The Anahid Sofian Dance Company has begun work on a major, Moroccon-themed project slated for performance late Fall 2005. Inspired by Ms. Sofian’s trip to film the National Folkloric Festival held annually in Marrakech, this ambitious and innovative production will utilize a cast of approximately 35 dancers, musicians and artists from other disciplines. The ancient kingdom of Morocco, famous for its stunning landscapes, has a rich and diverse cultural heritage, with each region contributing its historical legacy to the national tapestry. Marrakech, called the Rose City of the South because of its beautiful architectural color, radiates splendor and mysticism. It has a unique culture fed not only by the Arab world, but also by the Berbers, the Guedra and other tribes in the sub-Sahara, and the cult of the Gnawa, descendants of the slaves brought from Black Africa who blend African and Arabo-Berber customs. This new production will focus on this magical city and the legendary Place Djmaa El Fna, the public meeting place at the city’s heart. Incorporating folklore, fantasy and interpretation, the work will weave together and explore the region’s diverse traditions through a contemporary perspective. Miss Sofian, a recognized U.S.-based dancer specializing in dances of the Middle East has already created three Moroccan-themed dances (one was awarded a NY State CAPS grant for choreography), which have been performed in such venues as Carnegie Hall, Avery Fisher Hall, the Theatre of Riverside Church, Tribeca Arts Center and Town Hall. This new, full-evening’s production will further develop Ms. Sofian’s artistic vision and efforts to celebrate the ancient traditions of Morocco and honor its rich and diverse cultural heritage. A condensed, special presentation is also planned to present to schools, and a videotape is projected for educational TV.